Glitzy, bright gift wrap makes for a burst of festive bling under the tree, but what happens post-present opening once the excitement has subsided? The bin is undoubtedly filled to the brim with coloured, foil, glitter, and metallic wrapping waste. We say, think beyond Christmas morning and get creative with your wrapping. Wow your loved ones with your creativity and follow our five top tips for presenting your gifts in eco-style. 1. Reusable shopping bags make great reusable gift bags that can be used all year around and are the perfect solution to overstuffed stockings. The lovely Christmas stockings hung by the chimney with care more often than not never seem big enough. Simply place a tote on the hearth next to or beneath the stocking to act as a catch-all for everything that can't fit. 2. Use tea towels as gift wrap for almost anything, especially bottles. Enhance your hostess gift by pairing a bottle of your favourite wine with a tea towel or for smaller gifts use these gorgeous cloth napkins. LIME TIP How to do it: Simply place the bottle along one side of the towel so that the top of the bottle meets the top of the fabric. Create a pocket at the bottom by folding up the excess material at the bottom over the bottom of the bottle. Then roll it evenly and secure at the neck with a ribbon. 3. Put small gifts in little bags, purses or a must-have clutch and tie with a ribbon, instead of using boxes and wrapping. 4. Look for gifts already presented in attractive packaging, then there's no need to double up! 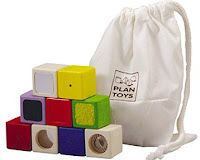 Keep an eye out for jewelry presented in pouches, body brush gift sets in feather top bags, bamboo nightshirts in bamboo drawstring bags and kids' wooden blocks in cotton (easy clean up) bags. LIME TIP Don't forget, the more opaque the package, the greater the surprise! 5. Choose gifts that lend themselves to act as containers and group smaller gifts inside, effectively creating your own gift basket without the basket. Try a funky bright pink watering can filled with a pocket garden and a butterfly scatter garden. What about a collapsible eco shopping basket with a reusable Laken water bottle, crank radio/flashlight and ethically made body brush and body butter inside? The possibilities are endless. Even if you cut down on glitzy gift wrap just a little this Christmas, it's a step in the right direction. Visit Lavish & Lime for great gift ideas for the whole family - at affordable prices.